Yes, I KNOW I just made chocolate chip cookies this weekend…but anyone who knows me is aware of the fact that I love to overdo things. 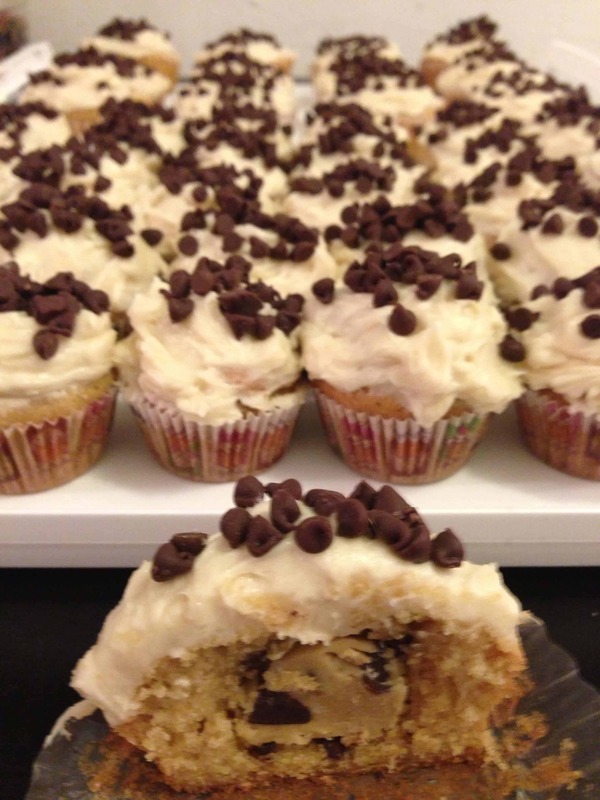 So why not make chocolate chip cookie dough cupcakes?? The concept is genius. 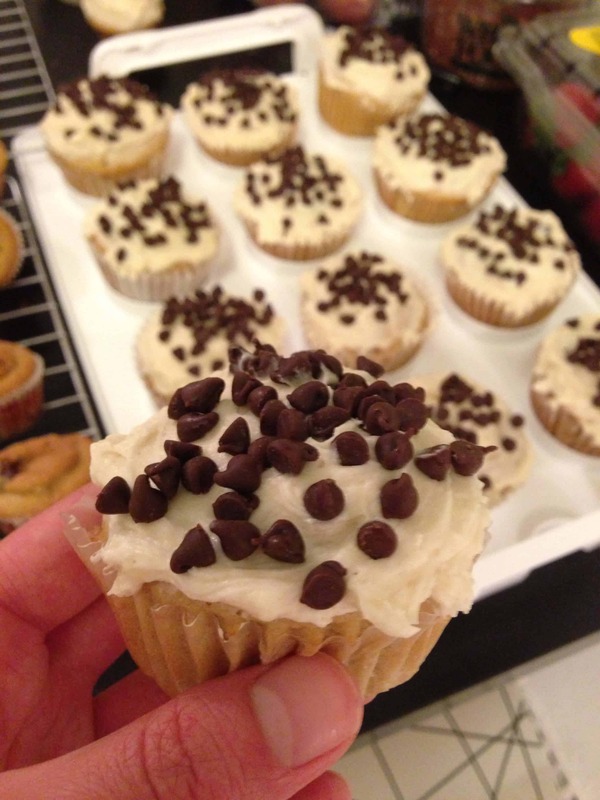 There are three components to this recipe: the cupcake batter, the cookie dough, and the frosting. 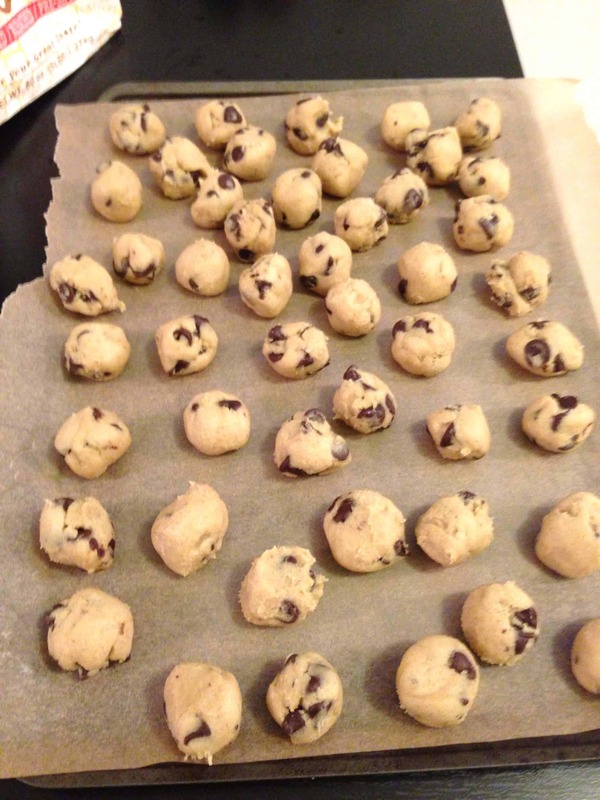 Considering I’m tackling this recipe on a work night, I opted to make my life a little easier by using store-bought cookie dough. This goes against my morals (homemade is always better than store bought), but I have solid reasoning to support my decision. The cookie dough needs to be FROZEN to ensure it keeps its texture and consistency while the cupcake bakes around it… and since I started this recipe at 9pm, there was no way I could magically create frozen cookie dough. 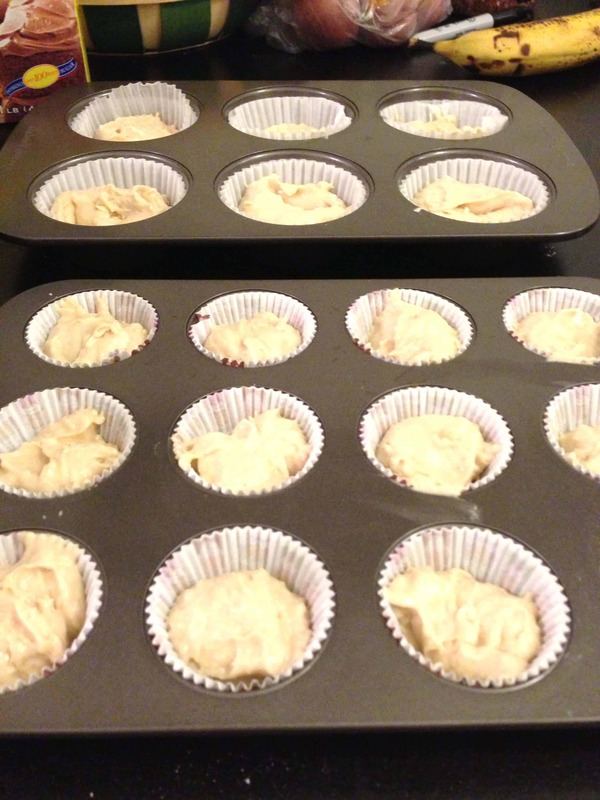 To make the cupcakes, I preheated the oven to 350° F. I then lined two cupcake pans with paper liners (one for regular sized cupcakes, one for mini cupcakes). In a large bowl I combined the butter and brown sugar, beating them together on medium-high speed until it the mixture was light and fluffy. I then mixed in the eggs one at a time, beating well after each addition and scraping down the sides of the bowl as needed. After that, I stirred the flour, baking powder, baking soda, and salt together in a medium bowl. I slowly added the dry ingredients to the wet mixture and mixed them at a low speed. 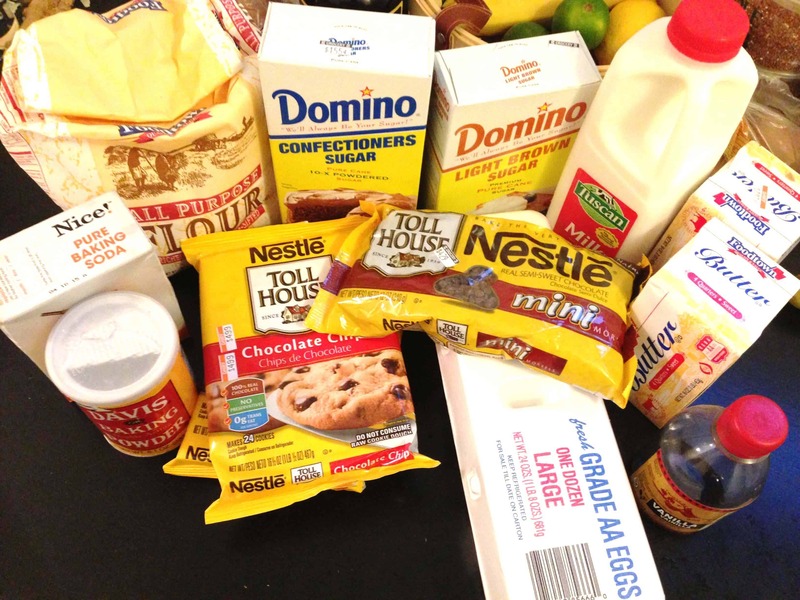 I alternated with the milk, beginning and ending with the dry ingredients. I mixed the batter after each addition just until everything was incorporated. The last step was to mix in the vanilla. 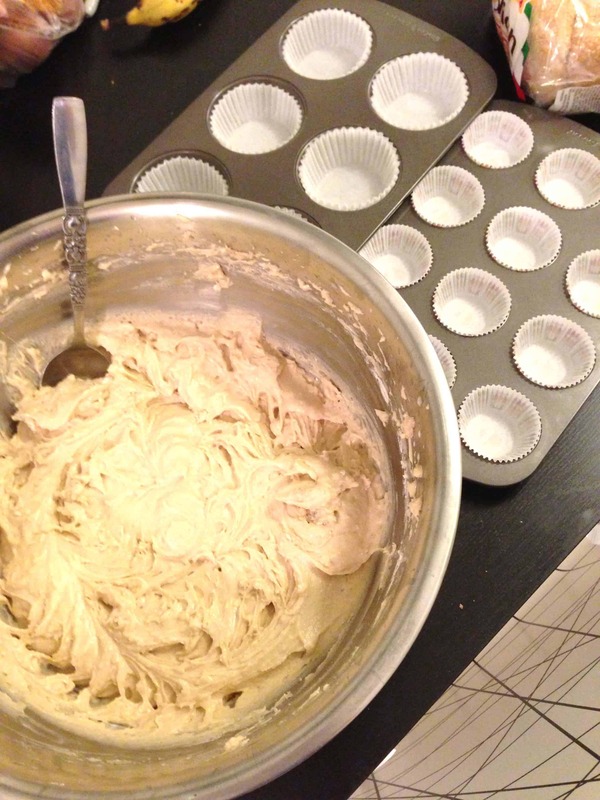 Using two spoons, I filled the prepared cupcake liners 1/2 full with the cupcake batter. I then pushed a frozen cookie dough ball into the center of each cupcake. I let the cupcakes bake for about 15-18 minutes; the mini cupcakes obviously baked a little quicker than the regular sized ones. I then removed the cupcakes from the pans and let them completely cool on a wire rack before frosting them. 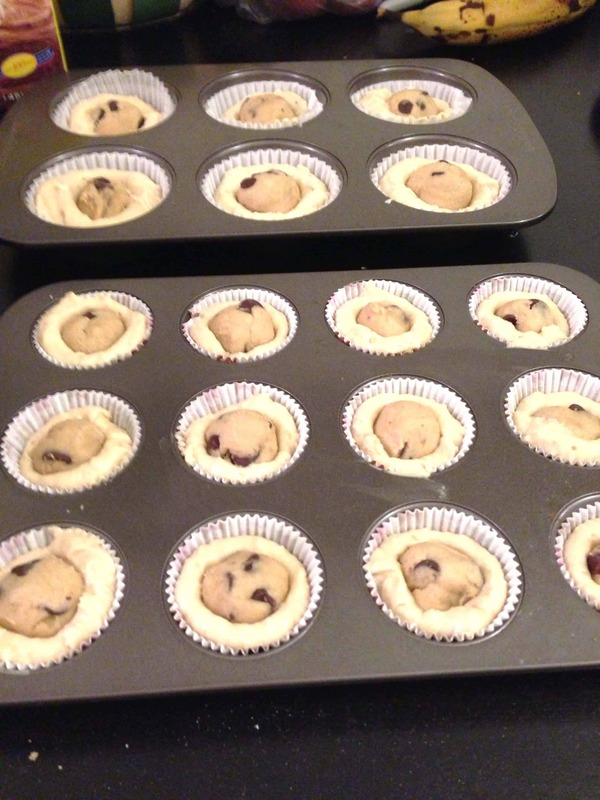 I have a tiny oven, so I made about 4 batches (my cupcake pans are half sized). 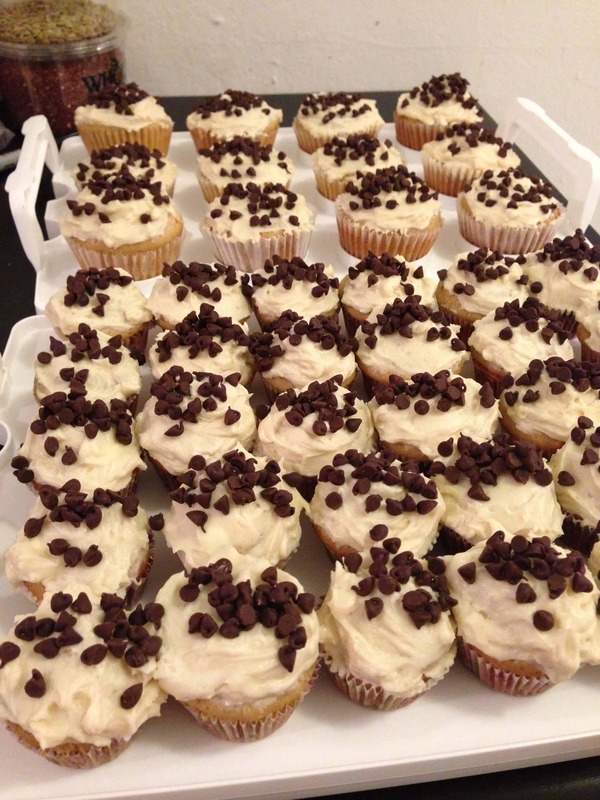 I made the frosting while the cupcakes were baking, and began by combining the butter and brown sugar in a mixing bowl and creaming them together on medium-high speed until they were light and fluffy. I then beat in the powdered sugar until it was smooth., and added the salt, milk, and vanilla and mixed until everything was incorporated. I have a question. 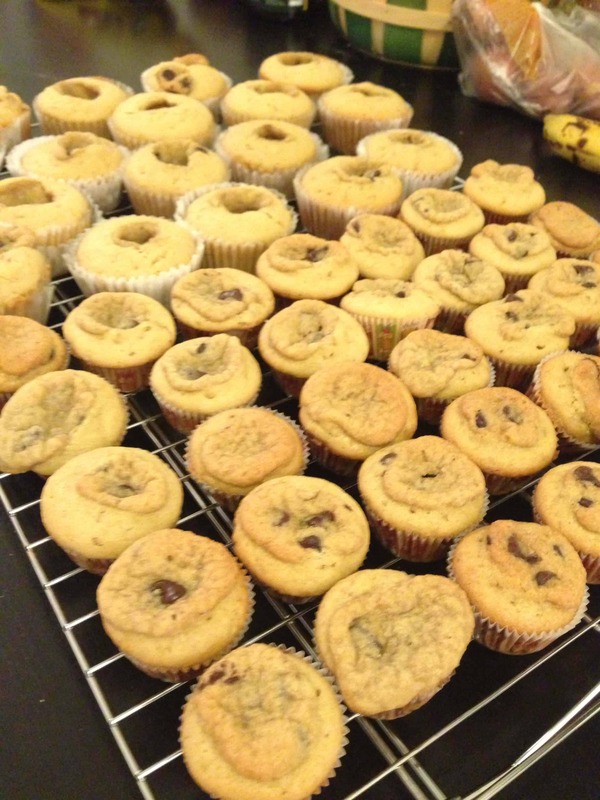 Does the cookie dough cook inside the cupcake or does it stay more on the side of uncooked? Do you think I could half this recipe, I don’t need that many cupcakes. I made this once and it was amazing! However, the frosting was sort of crunchy. No one complained about it but I wondered if it was the brown sugar? Should I sift it before adding it or do you have another suggestion? I’d love to make these again! I’d recommend adding a touch more heavy cream, to help the sugar dissolve more! Or you can melt the brown sugar over a low heat (and then let it cool a bit) before you add it!